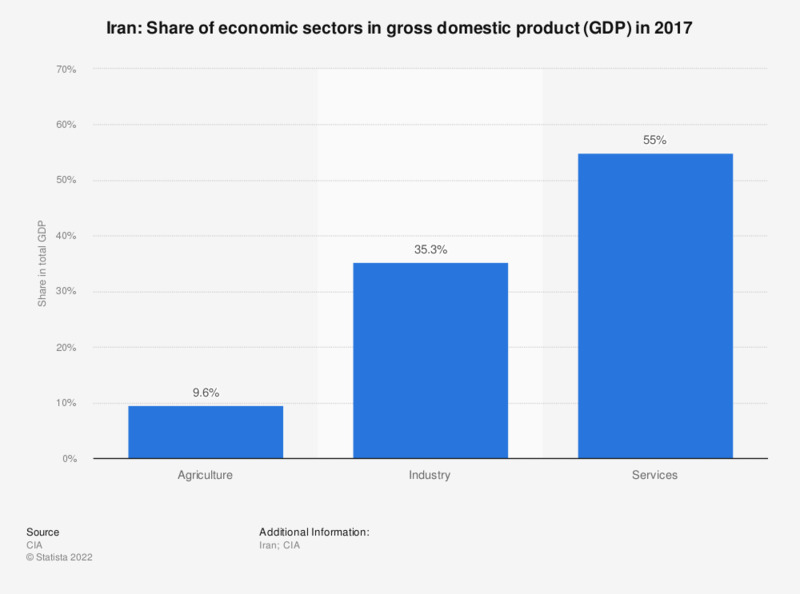 This statistic shows the share of economic sectors in Iran's gross domestic product (GDP) in 2017. All figures are estimates. In 2017, agriculture was estimated to contribute 9.8 percent to Iran's GDP.